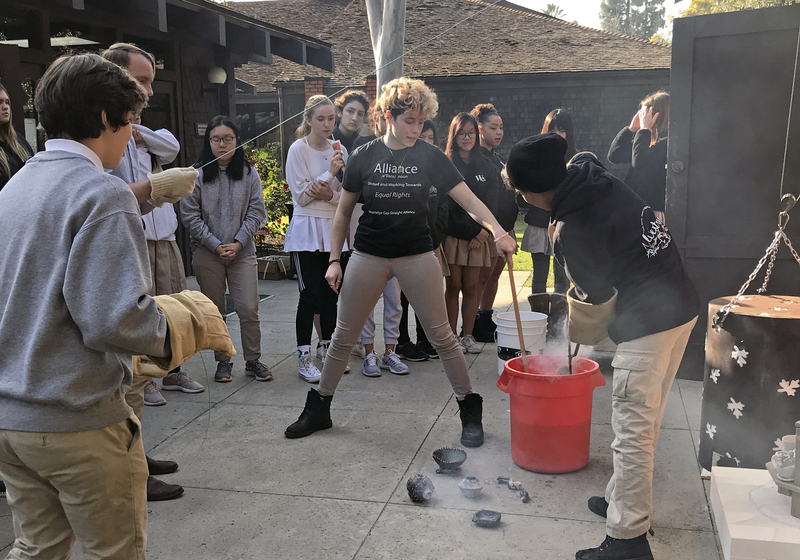 Students from three ceramics classes and the 3D Design and Advanced Studio Art classes gathered in the pottery studio last week for a masterclass in raku firing with visiting artist Anna Mayer. 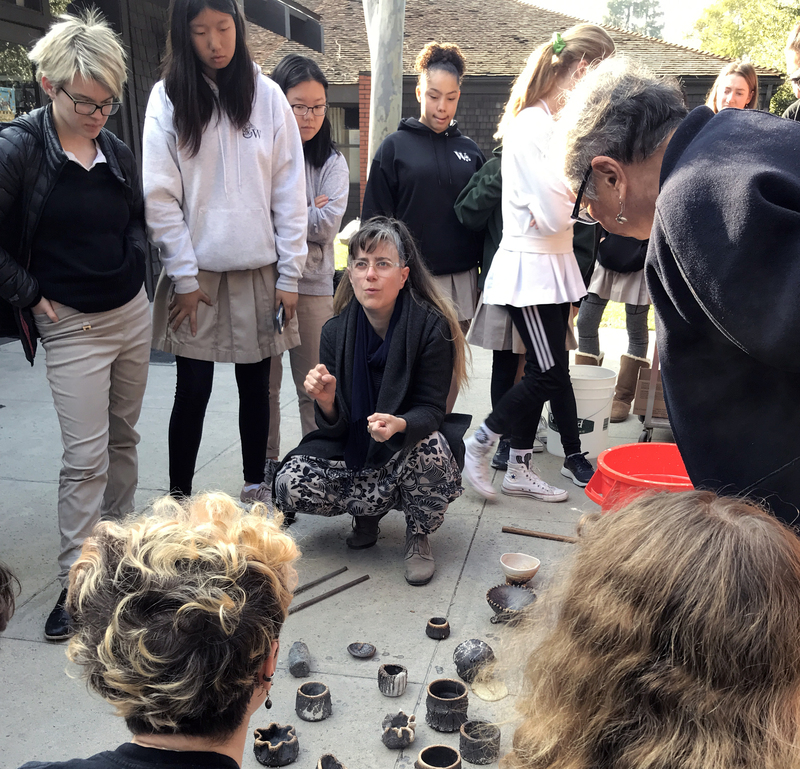 After a discussion with the artist, which covered the trajectory of her path to a career in art, her practice, and a discussion of the specific raku technique they would be using (obvara), students moved outside to the kiln. In obvara, which originated in Eastern Europe around the 12th Century, pots are moved directly from the hot kiln into an obvara yeast mixture. This results in uneven oxidation and, ultimately, interesting patterns on the surface of the pot. Mayer lives and works in Los Angeles and Houston and is currently an assistant professor of sculpture at the University of Houston.